The Purple Squirrel is the perfect person for the job. Looking for a new job which will appreciate your talents? Job Seekers- Ready to show that you’re the Purple Squirrel they’re looking for? Click here! Looking for that talented individual who will help your business excel? Talent-Seekers – Want to know how you can find your next Purple Squirrel? Click here! The “Purple Squirrel” is the person with exactly the right qualifications & experience to match the company’s needs. They’re the perfect person for the job. And they are the employee who will make the difference. 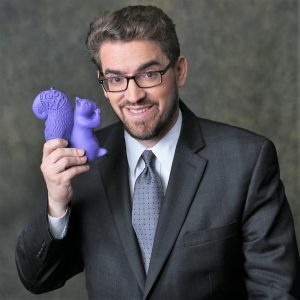 The Purple Squirrel is the person others look to for inspiration and leadership, is a problem solver, and, better yet, will prevent the problems from popping up in the first place. He or she will blend seamlessly into the company culture, come quickly up to speed, and will stay with the company for the long haul. The Hiring Solutions Group specializes in matching a Purple Squirrel with their dream job. Call us today at (973)773-HIRE(4473).